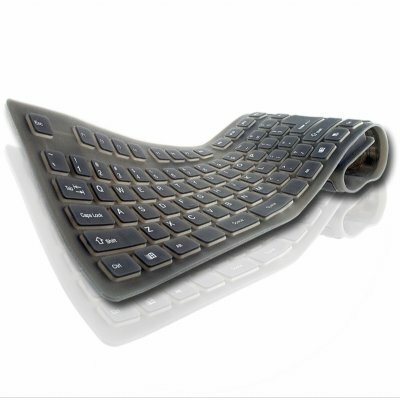 Successfully Added Flexible Silicone Rubber PC Keyboard to your Shopping Cart. to be frank i have not tried this out but seems interesting. how much i pay for delivery to indonesia? Assolutamente un buon articolo. i tasti rispondono veramete bene! ora sto proprio scrivendo con questa tastiera. è comoda anche in occasioni quali riunioni o luoghi dove sarebbe fastidioso il continuo ticchettio dei tasti..buon lavoro Chinavasion! durable, waterproof, good quality keyboard. I like to type on full-sized keyboard, but do not like to carry it with my notebook (have a 13" notebook, so it is relatively small). This flexible keyboard perfectly fitted in my bag with notebook preserving small size! Liked it very much. Keys engraving of this keyboard in Moscow is expensive (7-15$, depends on place and quantity of keyboards) but you always can buy sticky labels.